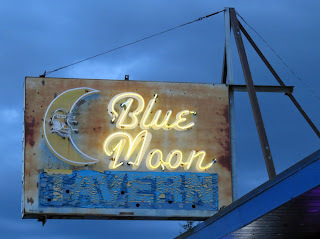 I don't have a lot of history for Everett's Blue Moon Tavern, not to be confused with the legendary Blue Moon in Seattle, nor the beer brewed in Denver -- or for that matter with the Blue Moons that at various times poured beers in Bellingham, Bremerton, Eatonville, Spokane, Sunnyside, and Tacoma. 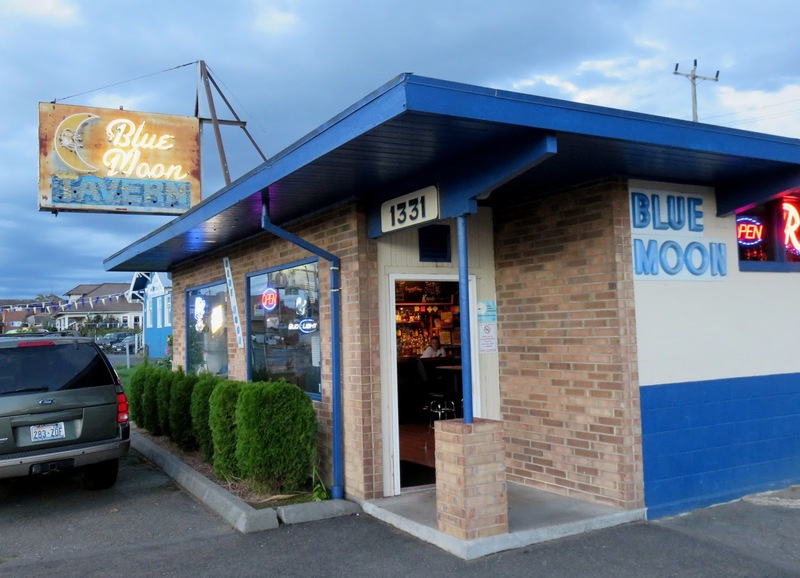 As best I can tell, the Everett Blue Moon has been in this location since 1960 (the building was constructed in 1959), following a previous version on Colby Street in the 1940s. Today's version is a friendly neighborhood dive, serving classic bar grub and karaoke, to a mostly older clientele. 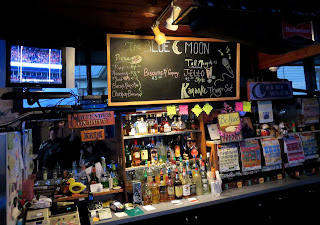 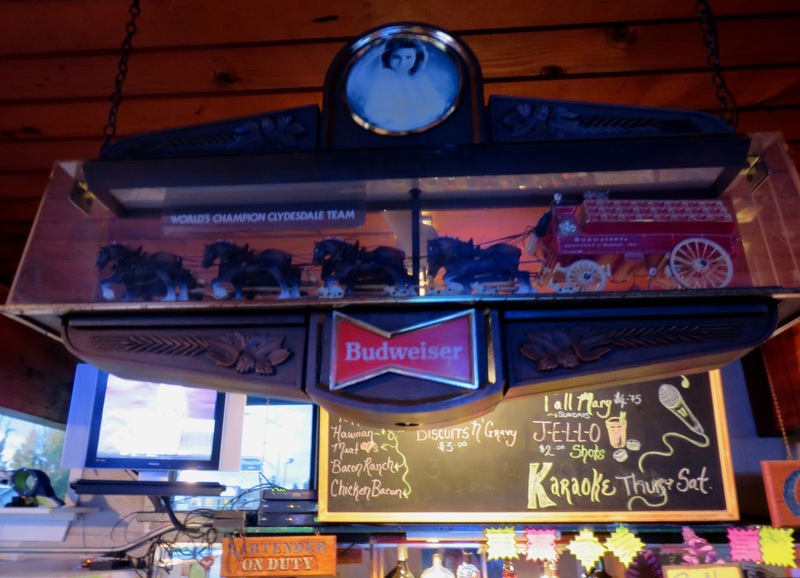 From what I can tell the place has had mostly women owners over the years, and on this night in 2014 the current owner Val had had it for the last six years. 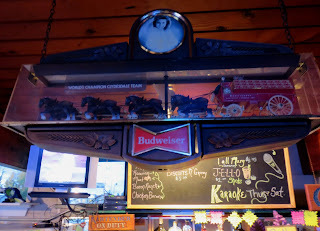 One nice old school touch is that they have wooden drink tokens.